favourable to the emergence of an institutional market, given the strong interest expressed by local and national institutions, leading to a set of technically more complex structures. 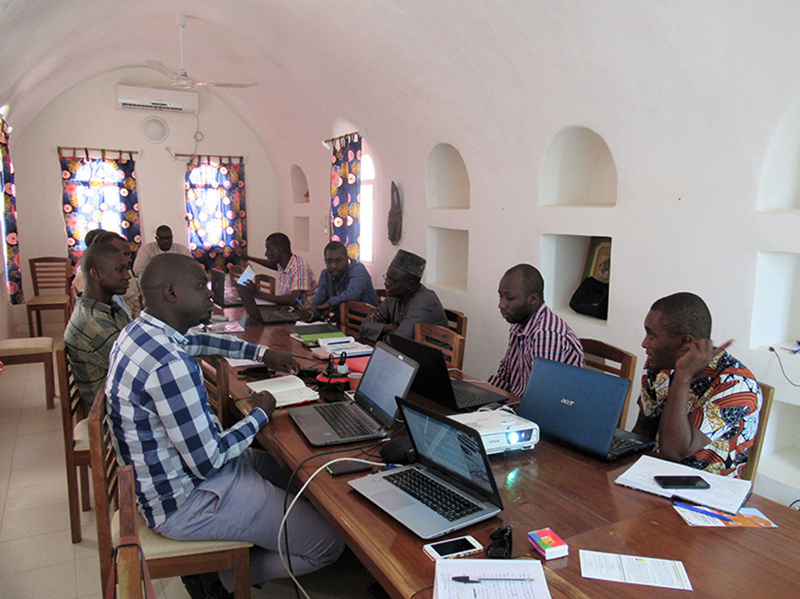 in a position to reproduce the methodologies developed and multiply the potential results and impacts both in Senegal and the other countries in which AVN is involved. 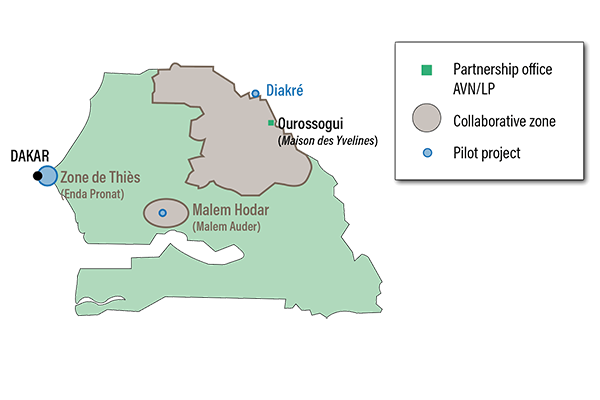 Since 2017, with funding from the French Conseil Départemental des Yvelines, AVN and the NGO Le Partenariat (LP) have put in place a programme to promote the NV technique, mainly in the departments of Podor, Matam and Kanel in the Fouta region of northern Senegal. The project is being implemented by a joint LP/AVN team composed of three salaried staff (project manager, assistant project manager, and a trainer/technician) with the support of a technical consultant and an LP/AVN coordination committee. LP brings its experience of project management, contracting, and institutional procedures, and AVN its technical experience in NV construction and its training and support methodologies for actors of the NV sector. Enda Pronat, a Senegalese NGO concerned with promotion of ecologically sound agriculture, has been a partner of AVN since 2016 for the construction of NV storage barns and henhouses. The aim of the project is to train local masons in the NV concept and to create a market for the construction of NV barns and henhouses, thus directly benefitting the producers. 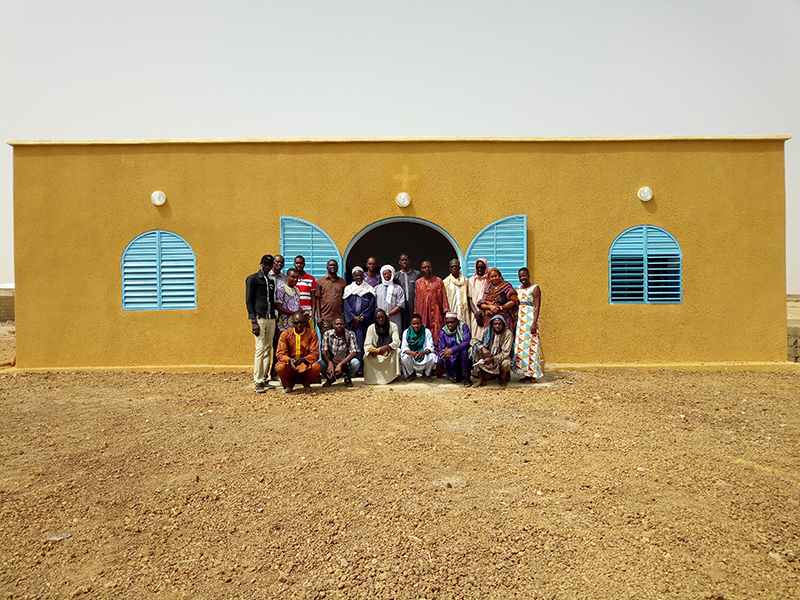 Implemented by the Senegalese-Belgian association Malem Auder, this pilot project aims to convince the farmers of the same village to build their own NV houses through community self-help. The population agrees to supply the construction materials and unskilled labour and AVN would cover the cost of transport and the masons (from Burkina Faso) during the construction period. 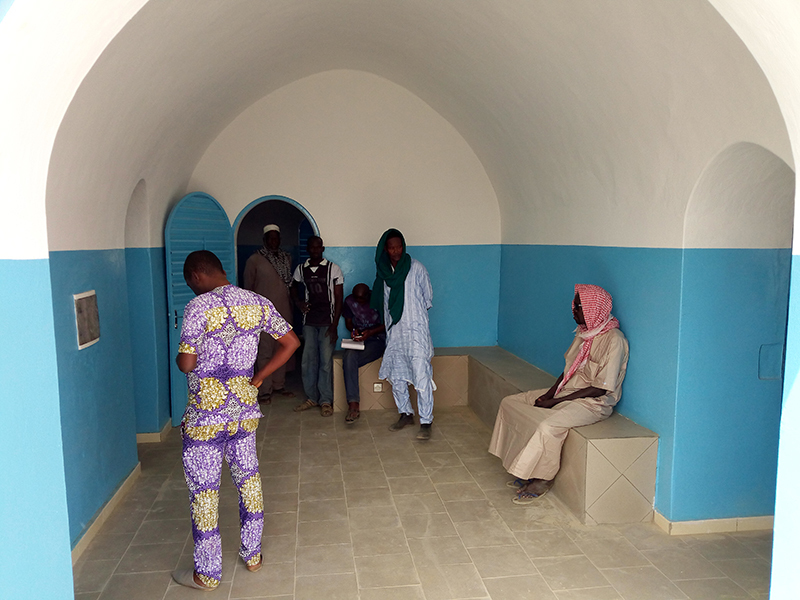 The first building of the NV Fouta project completed! Construction of the Matam Town Hall in NV has started!